Here are some details about H&F Labour's candidates for Fulham Broadway. You can find your polling station by putting your post code into this link. Ben has lived over 20 years in the borough, where he runs his own communications business. He is a governor of Queensmill School for autistic children in Fulham and was a governor for eight years at Jack Tizard School for disabled children in Hammersmith, playing Father Christmas every year. He helped found the Big Splash charity for disabled children and their families in west London. An ardent supporter of small firms, Ben is on Labour's national Small Business Taskforce. He says, “We need to stop North End Road being swamped by betting and loan shops and get it thriving again.” He speaks French, German and Spanish. Alan lives in Fulham and is Head of Year at a local secondary school, St Thomas More Language College, where he has overall responsibility for the pastoral care and academic progress of the students in his year group. Alan has run basketball and cricket clubs for young people and is currently managing the school’s football team. Alan has volunteered for the Scouts and for the mental health charity Mind. As part of the National Citizenship Service, he has mentored 16-17 year olds. Alan is a passionate Chelsea FC fan and enjoys watching Formula 1, reading and walking. Sharon is proudly of Caribbean descent and was born and bred in Hammersmith and Fulham. She lives with her husband and two children. Sharon worked as a home help and housing caretaker before going on to become a national trade union official. Sharon feels strong loyalty to the area and very much wants to represent residents’ interests. She believes local housing policies need drastic change so residents can afford to buy or rent new homes, which are currently being targeted at overseas investors. 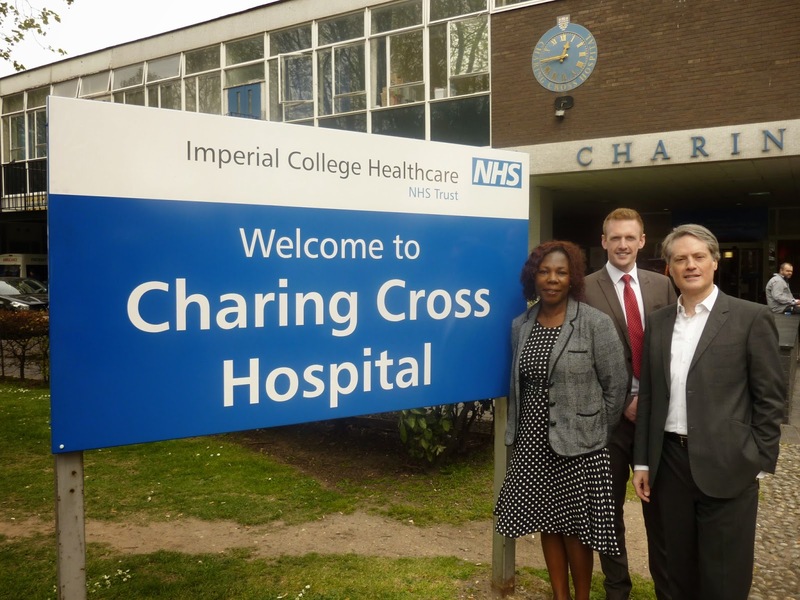 She is determined to fight for Charing Cross Hospital and protect our local NHS.